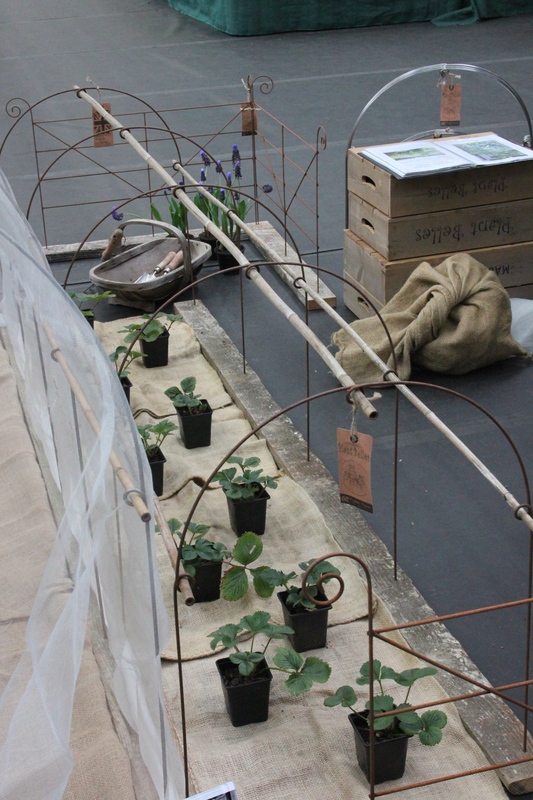 I made a visit on the second day to The RHS Great London Plant Fair held in the Lindley and Lawrence Halls, Westminster. In very mild April temperatures and in contrast to last years show in late March when there was a biting chill and some snow still on the ground. With so much early Spring blossom already in full flow throughout the country purchases were easy to make rather than a what will I do with them whilst the ground thaws out worry. Hardys Cottage Garden Plants always have a lovely stand, this year the most spectacular display of Geum ‘Totally Tangerine’ en masse, underplanted with Geranium pyreniacum ‘Isparta’ and against the zingy green of a Euphorbia. This Geum is totally gorgeous! Another that went onto my wish list was Hardys Ranunculus montanus Double form. I need to find a more creative place to plant these small Ranunculus, away from large dog paws. 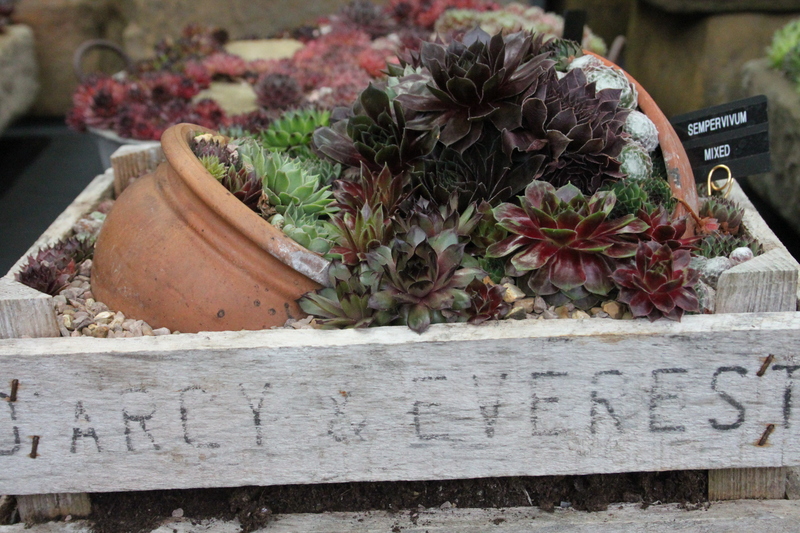 This led me to D’Arcy & Everest and their stand of Alpine troughs, something to consider. Across from Hardys in the Lawrence Hall the lovely W & S Lockyer stand, was full of Spring joy. Amongst the Daffodils this Primula Gilded Gold, a real little stunner and on my wish list. Finally I was able to buy the Tunnel supports from Plant Belles (they had sold out at the last RHS show) and are now installed on my veg plot, after an interesting journey home on the train. The display of Tulips from H.W Hyde & son was still looking fresh despite two warm show days. 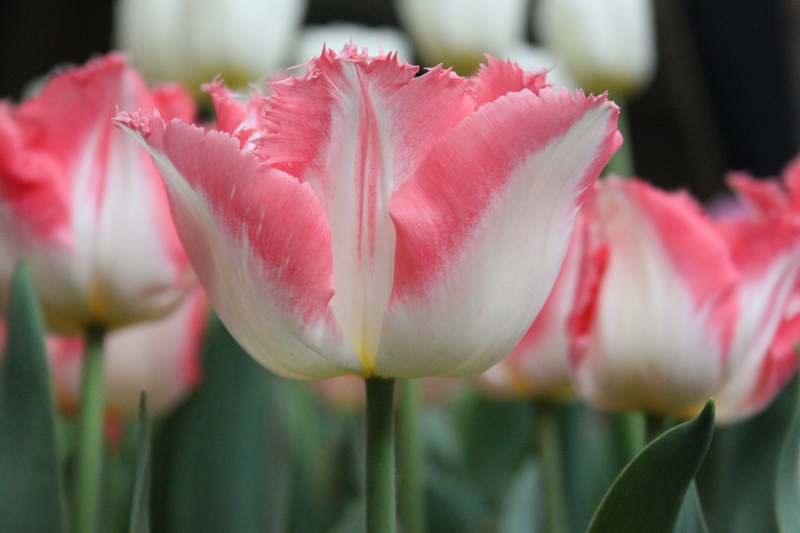 The Lingerie Tulip was eye catching, too sugary for me to grow at home, but really very pretty. 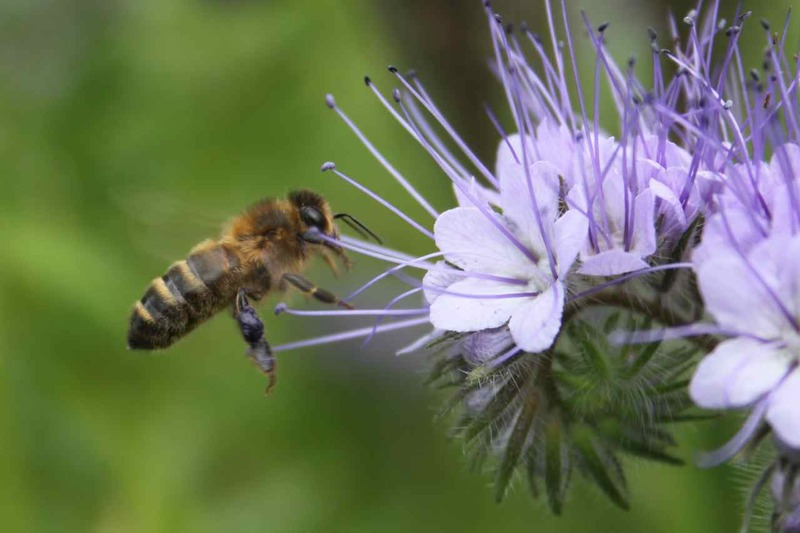 After a visit to the Lindley Hall and distracted by the talks and some seed purchases from Beans and Herbs, I headed over to visit the Garden Museum, having read the blog of digwithdorris and her visit. 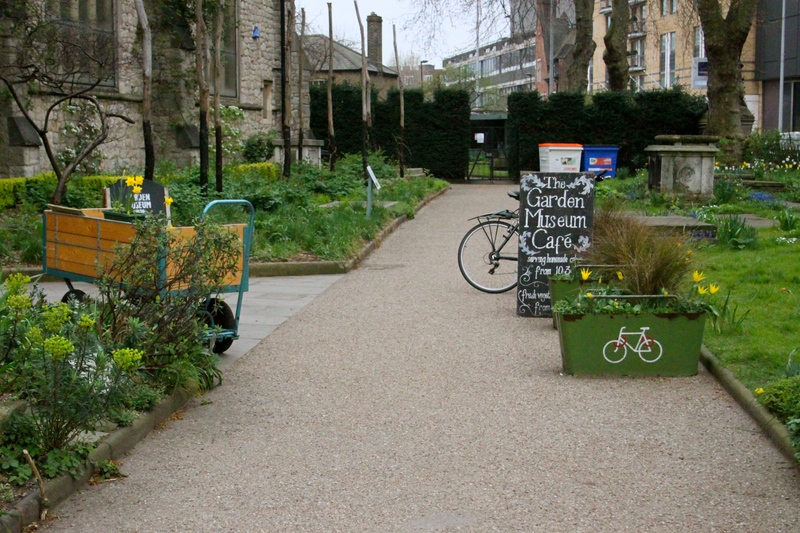 Its a 20 minute walk from The Horticultural halls, crossing the Lambeth Bridge and sited next to Lambeth Palace on the South Bank of the Thames. The Garden Museum was set up in 1977 in St Mary’s church, once abandoned and now lively and home to a wealth of information, check their website out for a whole list of interesting eye openers, as Dorris reports they are currently holding an Exhibition – Gardens and Fashions, which is running until Sunday April 27th. 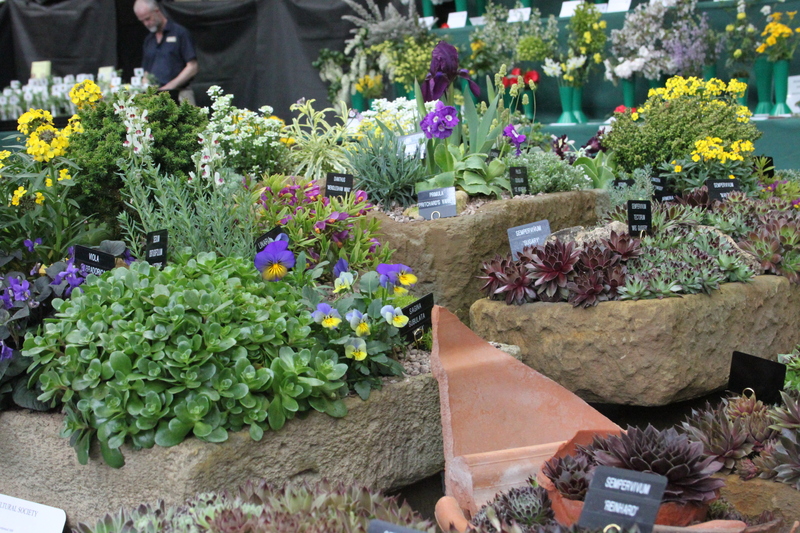 The RHS are holding a new show this year – the Alpine Show, also on April 27th. 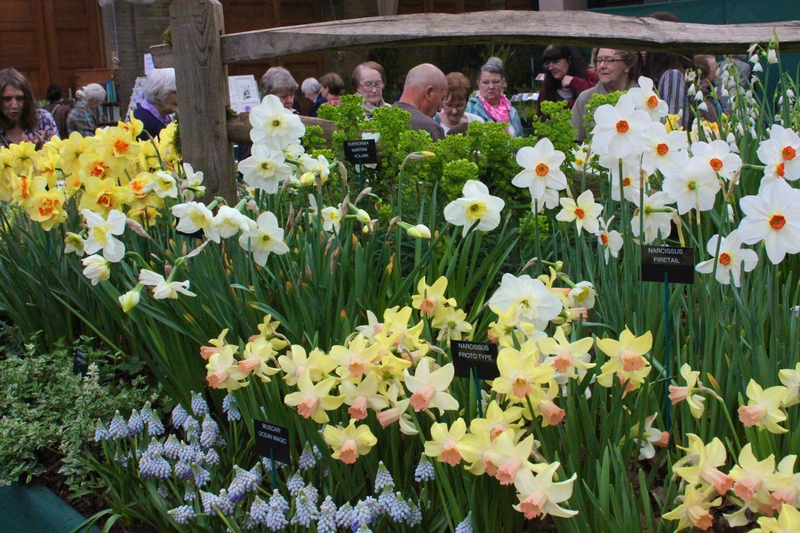 A combined ticket for both shows through the RHS is just £4 for members £9 for non members. 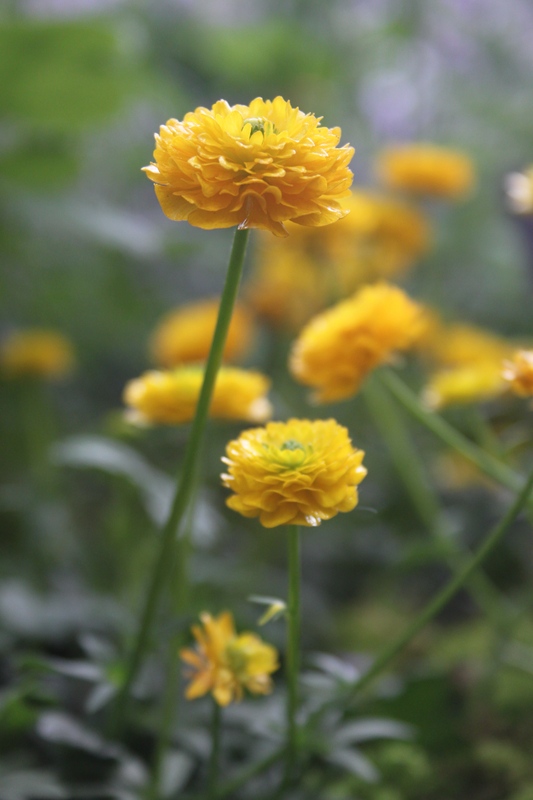 The Garden Museum are holding their Spring Plant Sale on the same day, choose to go there and miss the RHS show and entry is £5 for everyone, including the Garden and Fashion exhibition. Bargain! The show looked lovely, I wish I had visited. Next time! 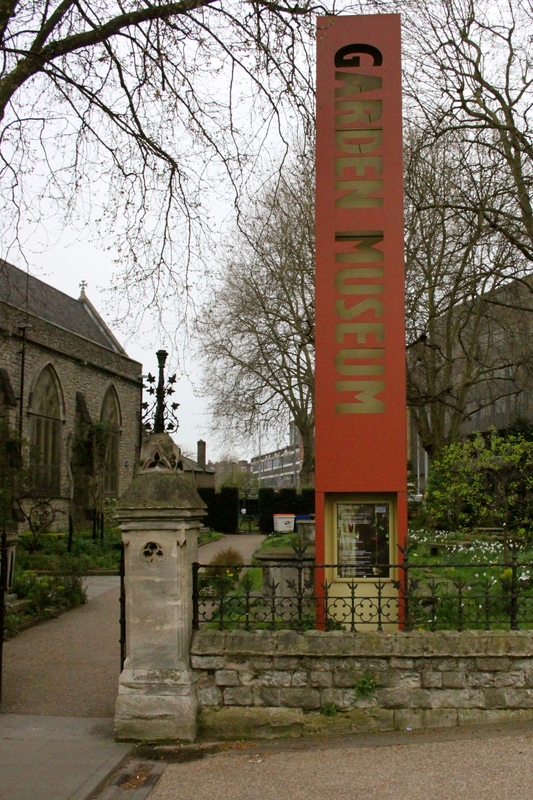 It was good to combine with the Garden Museum and that part of the Thames makes a good place to walk along too. Love that mass of tangerine! I also like those alpine troughs. 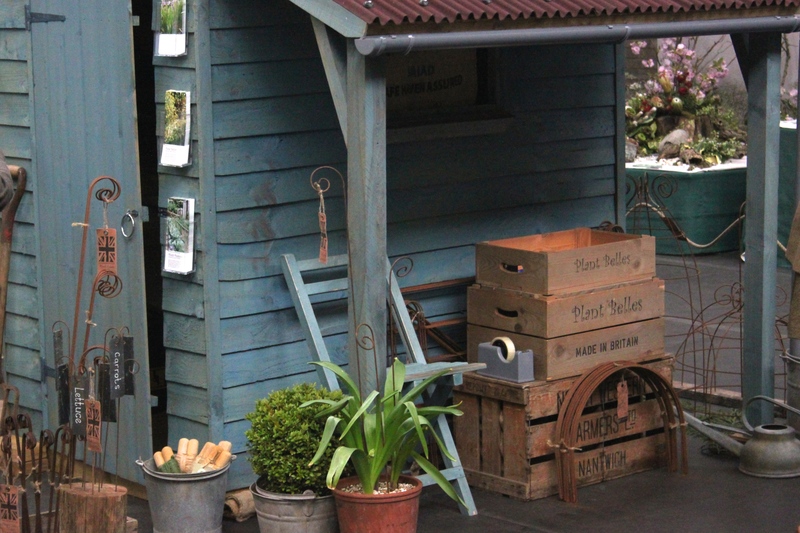 It’s always nice to get ideas (and a few plants) from shows.Thanks for sharing Julie! I would really like to grow alpines but its a damp climate here and not ideal, I have dreams of owing an alpine house one day! Looks like a fun time. 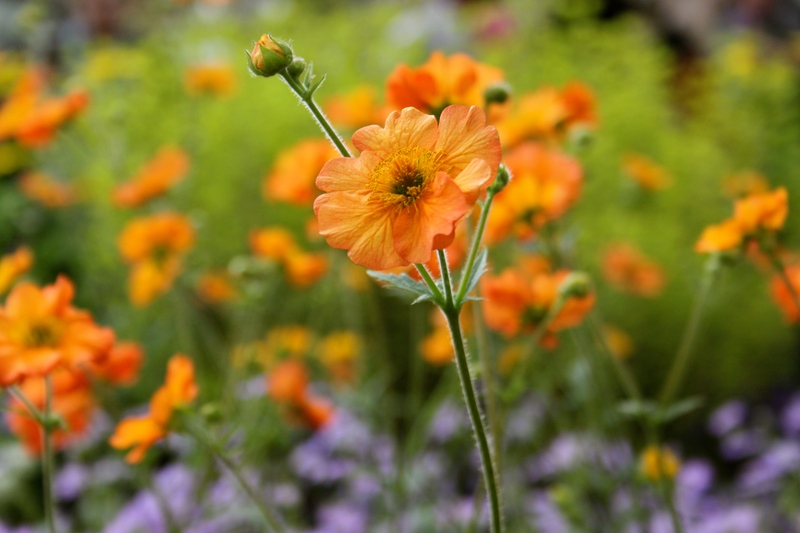 I do like that Geum ‘Totally Tangerine’. I’d intended to go and changed my mind at the last minute, of course reading this I’m regretting it now! I dragged my feet as its such a busy time of year and taking a day off, meant very long days either side, I was knackered! My first visit to the Garden museum, that was really interesting. I do miss going to the London shows although I never went enough when I had the opportunity. Can you write more about the tunnel supports, they look interesting. The ones I bought from Plant Belles are 55cm tall and 50cm wide and come in a pack of 5 hoops, separately you then need 3 long canes which are slotted through each hoop hole (one at the top and one each side) to form a tunnel, which then supports a layer of enviromesh or fleece, bought separately. I paid the show price of £20 for the 5 hoops. These are the non galvanised ones which weather to a nice rusty finish. The enviromesh keeps the cabbage white eggs off, the only draw back is its harder to quickly get at any slugs. There is also a larger one 75cm tall, which I would like next time for taller brassicas, but I was travelling on the train. I had previously had a small oblong fixed cage, with wooden supports, but found it cumbersome, and the hoops can be spaced as long or short as needed. It looks a lot nicer too. It sounds as if you had a great day. I was going to go but I changed my mind at the last minute because it was such a gorgeous day. It looks if it was well worth the visit. I love the Geum, Hardy’s Cottage Garden Plants always have something unusual. 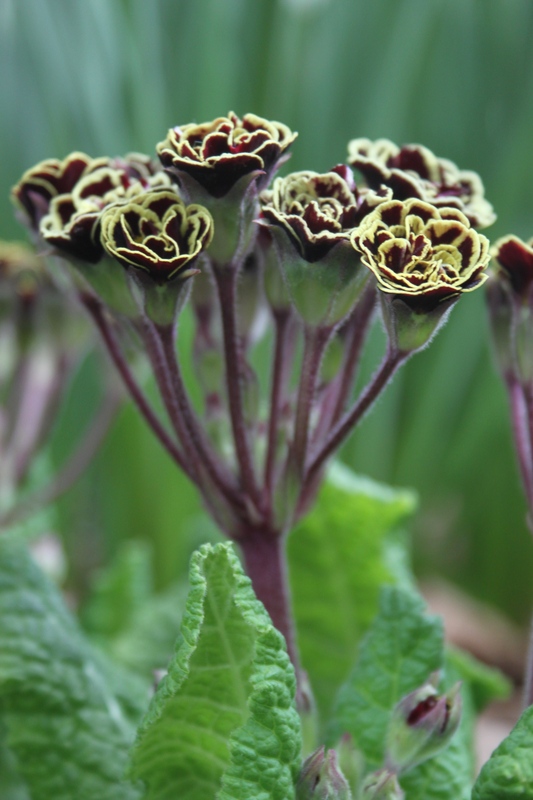 And isn’t that Primula amazing? I wish we lived closer to London as its a bit of a trek and was in two minds as the weather was so lovely, but it made the walk from the Halls to the Garden Museum very enjoyable.